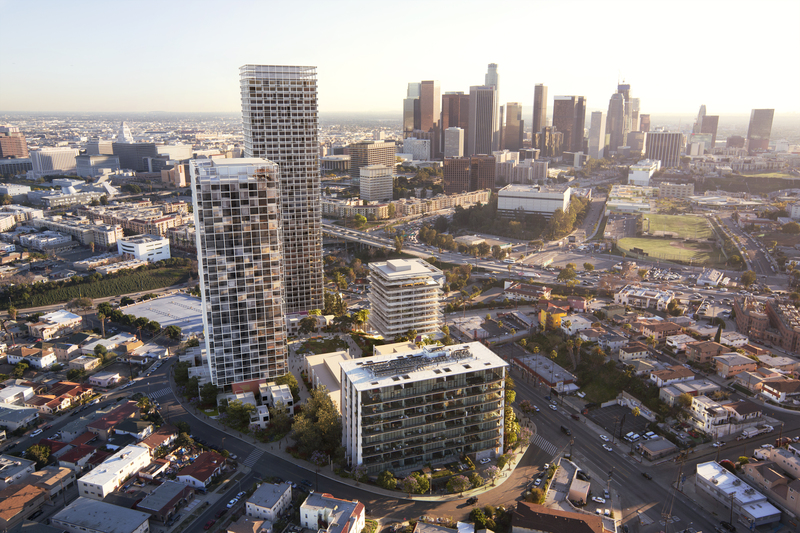 1111 Sunset is a new development by Palisades. It is a mix of residential, retail, and commercial space designed by SOM and Stanley Saitowitz, with a hotel designed by Kengo Kuma. 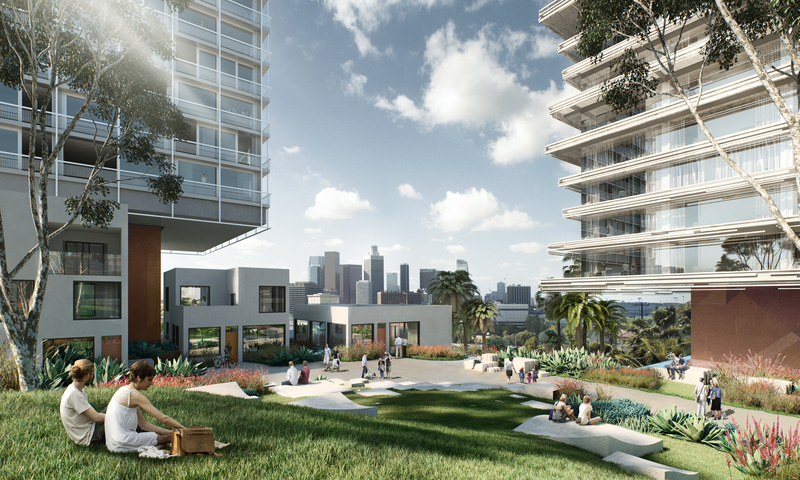 The landscape design by James Corner Field Operations will include terraces, gardens, courtyards, water features, and an overlook with views of downtown LA. 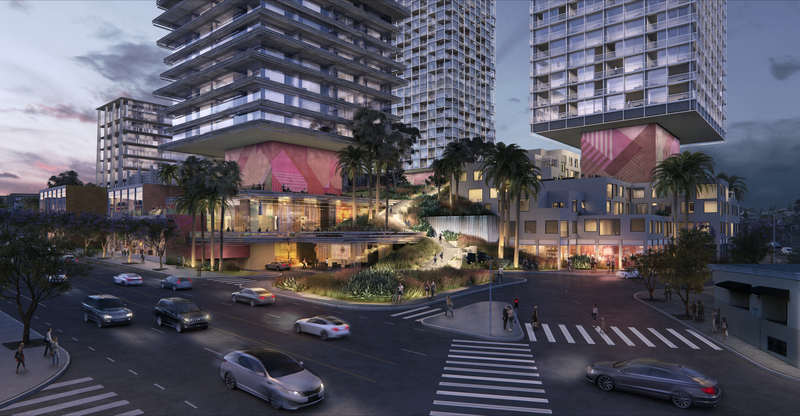 The focus of this project is innovative design, open space, and community. We took these values into account when creating the still rendering views, with a mind to showcase the permeability of the project and its location.